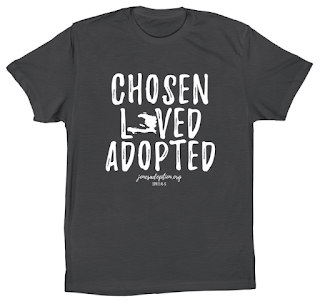 The Jones Adoption Blog: Partner with us and get a sweet shirt! Partner with us and get a sweet shirt! One of the biggest hurdles that we had to cross before starting the adoption process was the cost of the adoption. During our research. 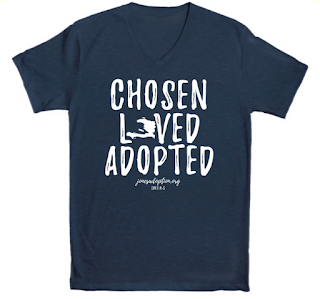 we were able to find many resources that assists with the financial burden of adoption. Unfortunately, most of them require us to have our home study completed before we can even apply these grants. There are some pretty significant upfront costs before we even reach the home study. To help offset this costs, we are selling t-shirts like the ones below. You can find our shirts at bonfire.com/jonesadoption. We would love to have you partner with us in this incredible journey!